So picked this up Sunday. 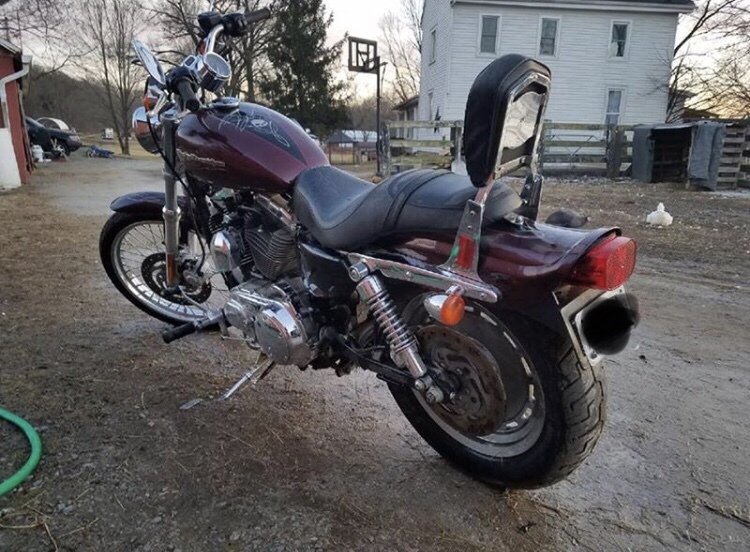 It’s a 2005 XL1200 Custom but has a custom paint job, I’m guessing from Harley. Numbered 78/200 and I think also has a different rear fender. Any info? I’d like to swap the tail light for an LED but unsure what to buy because all listed for an 05 are for the regular round fender. Well, clearly it's a bobtail fender. 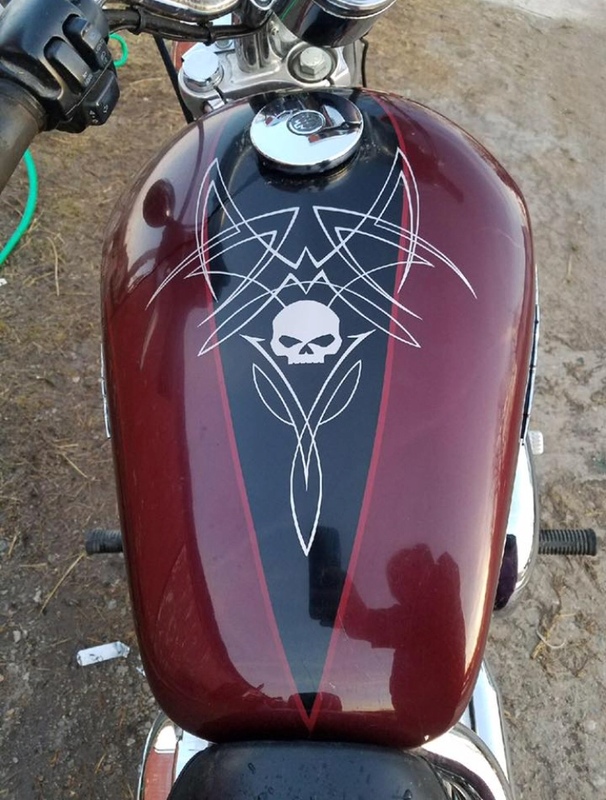 Harley make/made one as an aftermarket replacement. Not sure if that's the Harley one or not. I seem to remember that Harley made an LED light for their fender. I’m wondering if the fender and paint were custom from the factory? So I should be able to? 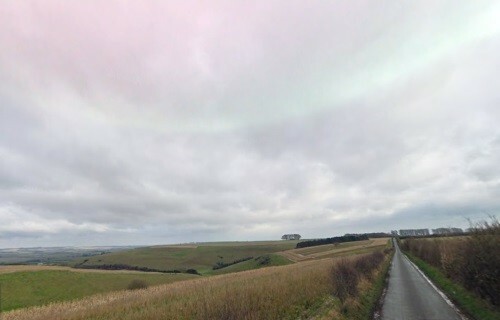 Awesome, thanks. 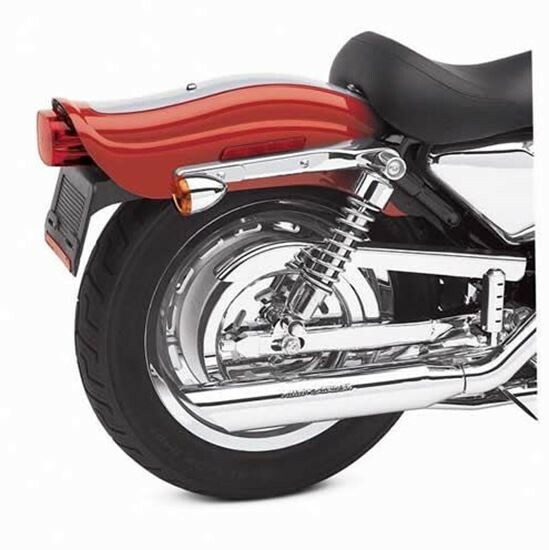 The H-D bobtail fender was # 59985-04, and the installation kit was # 69714-04B. 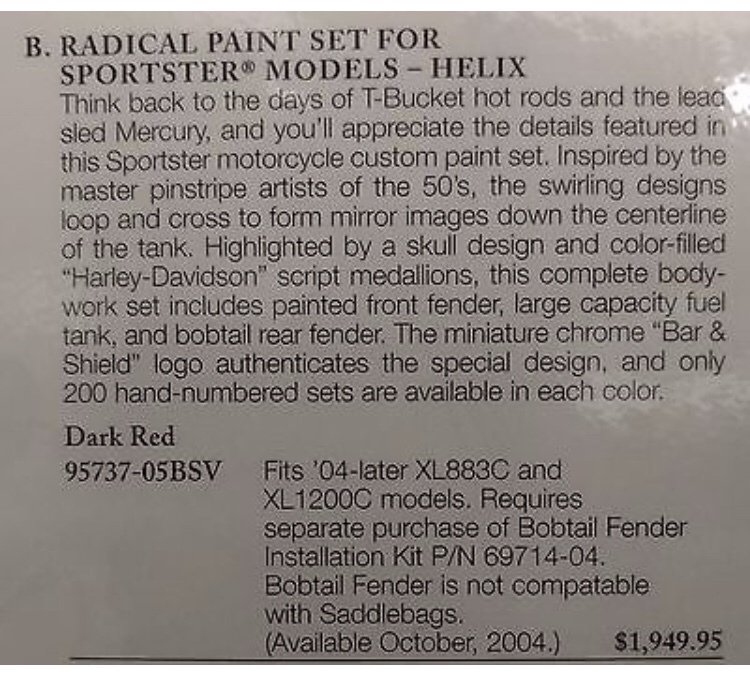 The paint set is called 'Helix, Dark Red', but is sometimes referred to as 'Radical Skull', and was # 95737-05BSV. That is a regular sportster taillight, but upside down. It looks a bit like that, but I think it's actually a tail light made especially for the bobtail fender. Those tins appear to limited edition of only17477 made Willie G rebel/outlaw/prison tatto/skipping bail/late child support payment/country rock collection. Cost the dot com Millennium $1900 of his neglective parents money. 9 months later he sold the whole bike for $1700 because he wanted to be a rock singer and needed an amp. So I need a bobtail fender tail light?